In Top 5 UI and UX Resources we outlined some basic UX training techniques. Want to learn more? 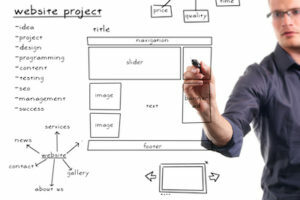 Turn to these 5 UX training resources to shore up your skillset and gain a new perspective. In Etch A Sketch: How to Use Sketching in User Experience Design author Jose Rojas defines sketching as “a distinctive form of drawing which we designers use to propose, explore, refine and communicate our ideas.” Drawing on the work of UX design pioneer Bill Buxton, Rojas argues that UX designers can use sketching to take the first crack to tackle a design problem. Generate many ideas without worrying about quality. Think more openly about ideas. Share, discuss, and assess ideas with others. Archive ideas for future reflection. 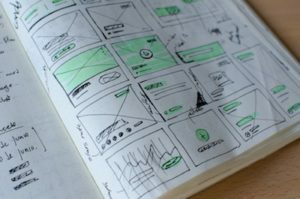 The idea is to use sketches to generate and assess ideas in the early design stage and to apply usability engineering principles to the more refined prototypes. Literal building blocks: Legos are more than children’s toys. IDEO CEO Tim Brown considers Legos an important design thinking tool. From the UX training perspective, Legos are useful for building prototypes for physical products or to simulate a customer’s journey. Storyboarding: Adopted from the film industry, this technique helps UX designers learn to visualize the user’s experience. Storyboarding ensures that UX designers know their users. If designers can’t draw a storyboard, more research is in order. Storyboards are effective but must also be used judiciously. As the author explains, they are not useful for fine tuning designs. Role Playing: Also called experiential prototyping, role playing involves re-enacting the user’s experience to gain a betters sense of how users may act and feel while using a product or service. Before engaging in a role playing exercise, the author advises making decisions about roles, scenes, and storylines. Role playing can be combined with storyboarding. Author and designer Nadya Tsech offers a multi-step tutorial in search design. 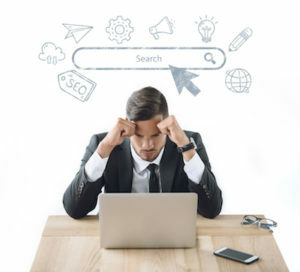 Search interface: 20 things to consider begins with a list of eight questions to ask such as the user’s intent, at what point do they click search, how they form queries and what they expect to find. The latter is an interesting and important question. At UI UX Training we frequently conduct expectations testing with preliminary navigation schemes. The idea is to identify the user’s desired outcome, if there is one. Tsceck recommends asking users which applications they use: “If your product is part of a workflow, other tools may affect user habits and expectations about their user experience,” an excellent and often overlooked consideration in many search functions. Next is the importance of considering every part of the search experience including the results. This point seems obvious until we pause to consider time wasted poring through lists of results only to come up empty. The section on search results alone is worthwhile. Tsech identifies the best practices around search previews while also addressing loading, sorting, pagination, and infinite scroll, accessibility, shortcuts, and actionable results. Tsech finishes the article with a search checklist that includes visualization, input types (text, voice images, tags), help, autocomplete, and micro-interactions (loading, error messages, and quick way to erase a query). The point about input types is increasingly important in todays multi-device world. As with forms or any complex design component, micro-interactions can make or break the user’s experience. As with the UX training other resources in this post, this search article is essentially a short course focused on one topic, in this case, search. Interaction design is one of the toughest things to get right. Form and micro-interaction guru Caroline Jarrett offers 7 Basic Best Practices for Buttons for this key interaction point. Seasoned UX designers might consider these tips little more than common sense, and perhaps they are. Yet, from mobile to desktop and e-commerce to enterprise software, button placement, sequence, and purpose are often confusing. Read Jarret’s article to learn how to improve this essential micro-interaction. Usabilitycounts.com is UX Director Patrick Neeman’s fun and eminently practical blog. In The UX Interview: How To Crush It, Neeman briefly summarizes the basics, do your homework, know your interviewers, and prepare to answer questions from interviewers with different roles. A product manager will ask different questions than a design manager. When you have your story down, think carefully about the best way to engage the interviewer: “The presentations I find most engaging are iPads and printed documentation,” writes Neeman. Then, make sure to look at the work your presenting and then make eye contact with the interviewer to ensure that your explaining your design portfolio in a context he or she can understand. But don’t stop there. Whenever possible, get in the front of the white board: “Talking about collaboration is one thing; demonstrating it with the interviewer is a completely different experience that very few designers take advantage of,” says Neeman. Neeman closes by reminding readers that the interviewer is the customer. Engage the interviewer with a compelling story that demonstrates design and collaboration skills in real time.